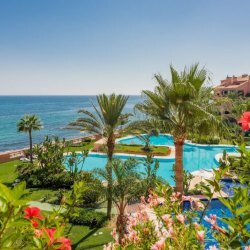 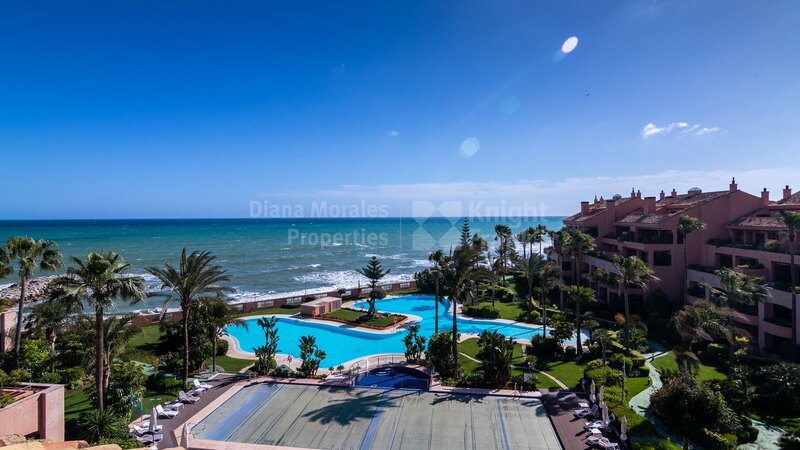 Please, send me more information about ref DM4476 in Malibu, Marbella - Puerto Banus or similar properties. 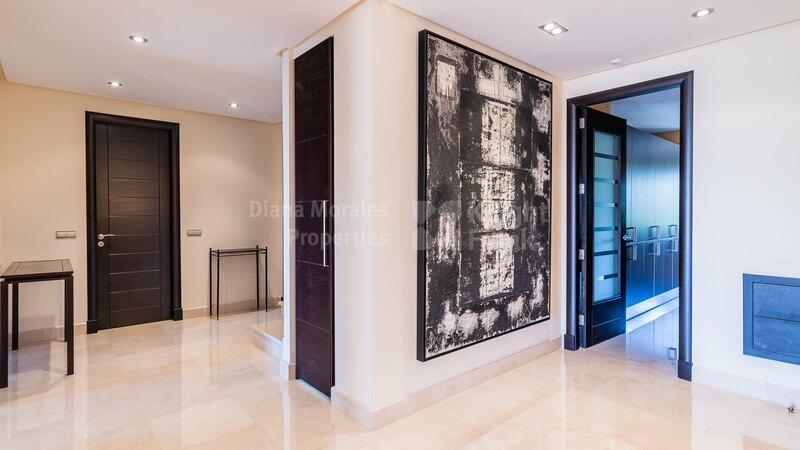 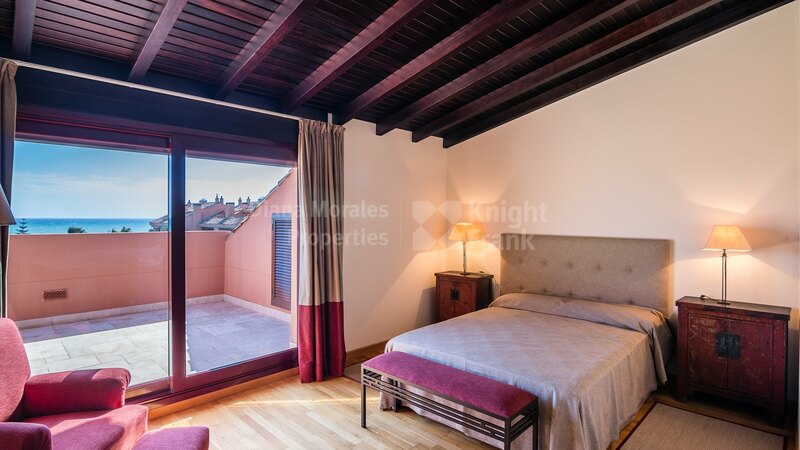 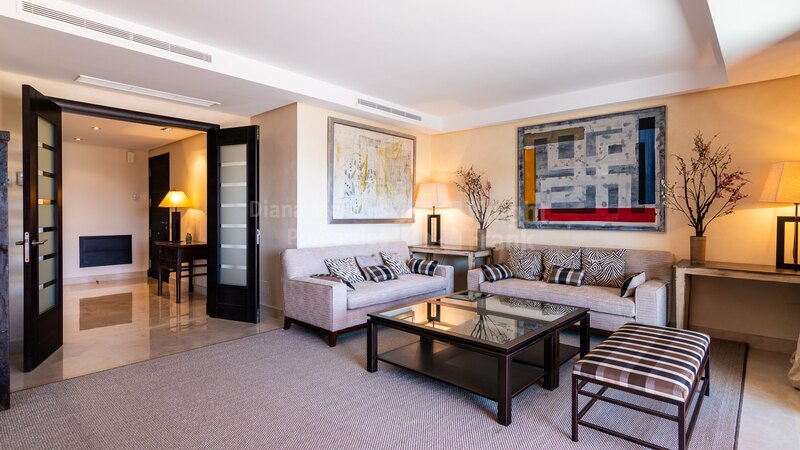 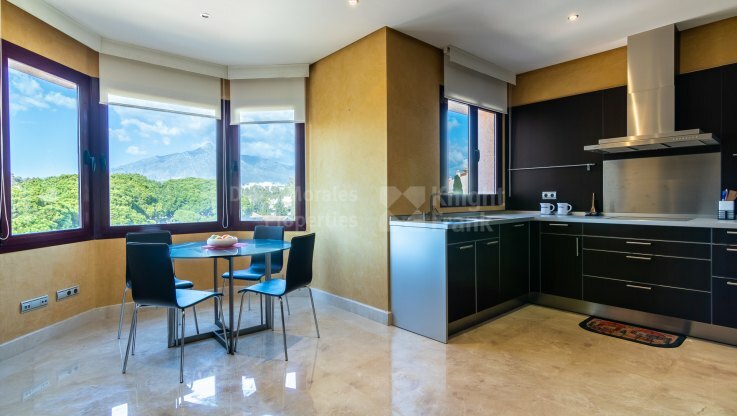 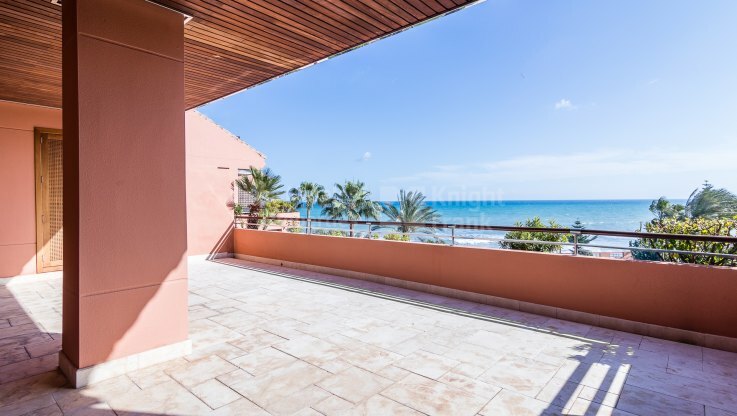 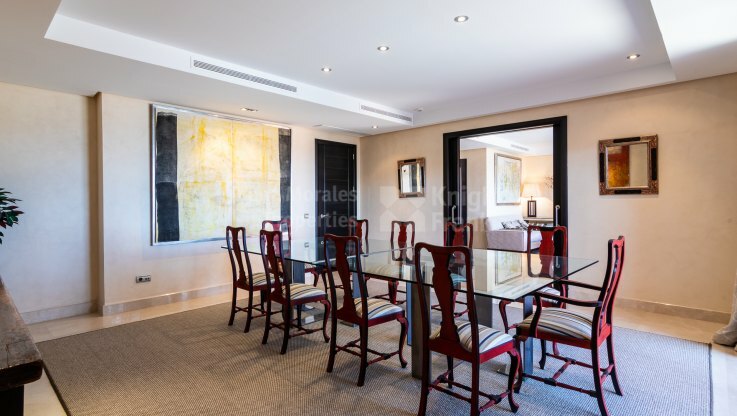 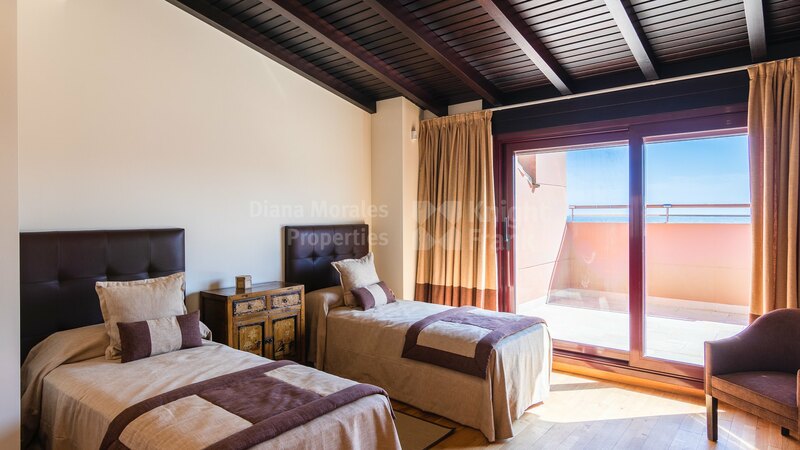 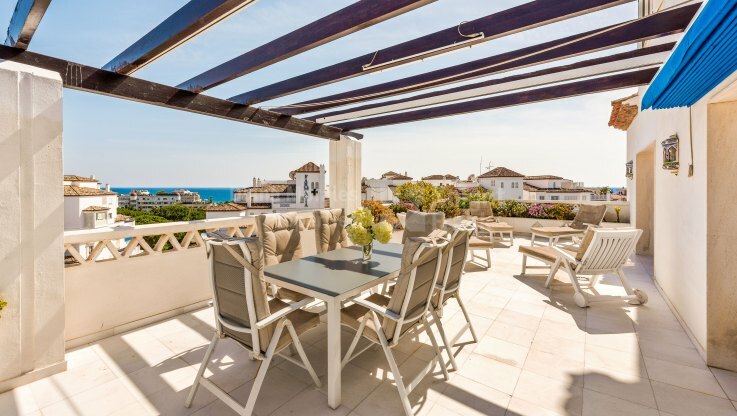 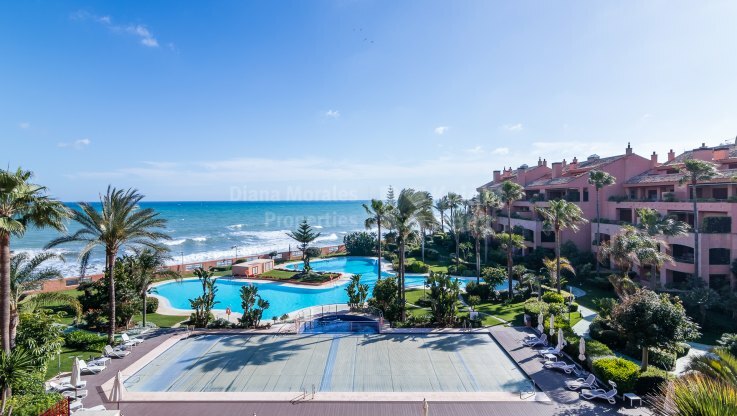 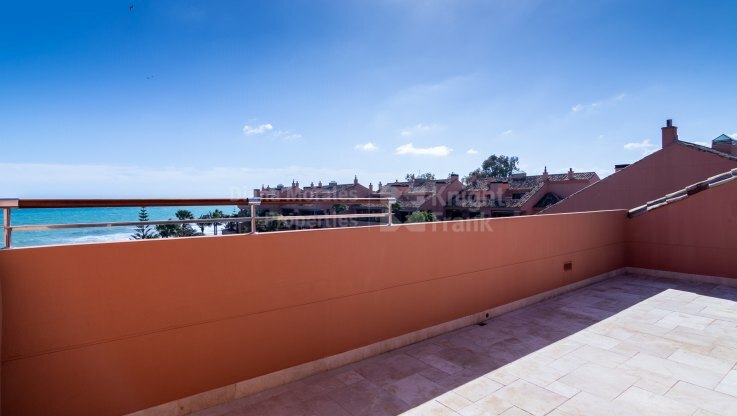 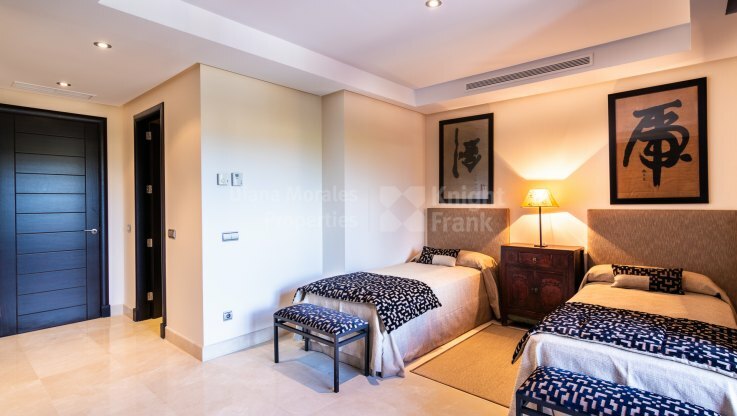 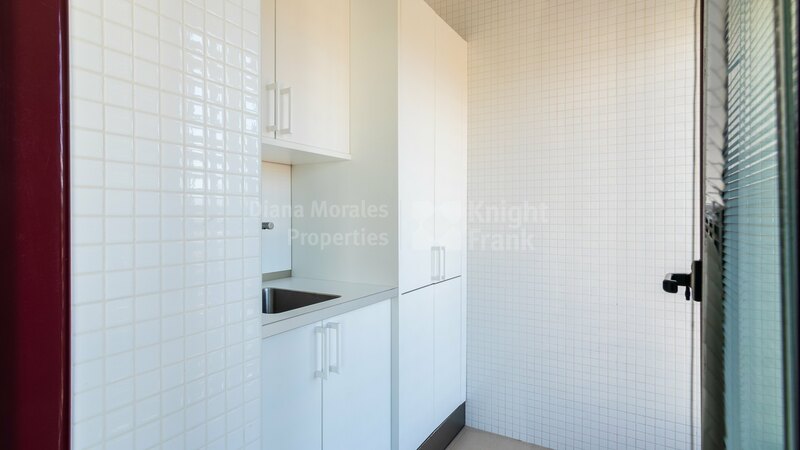 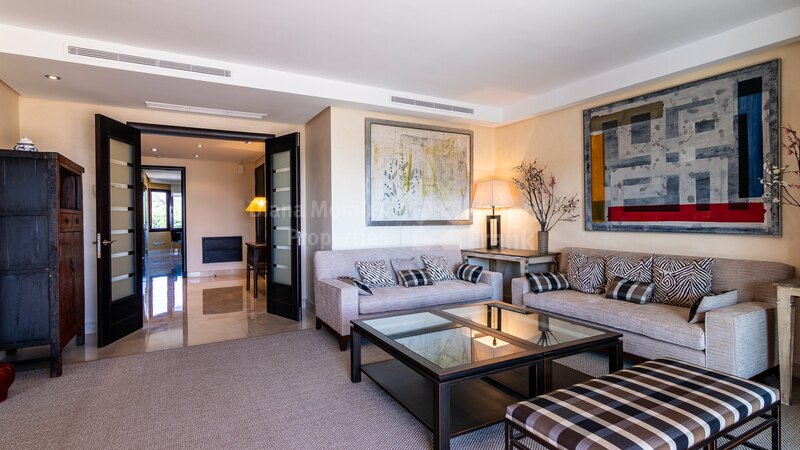 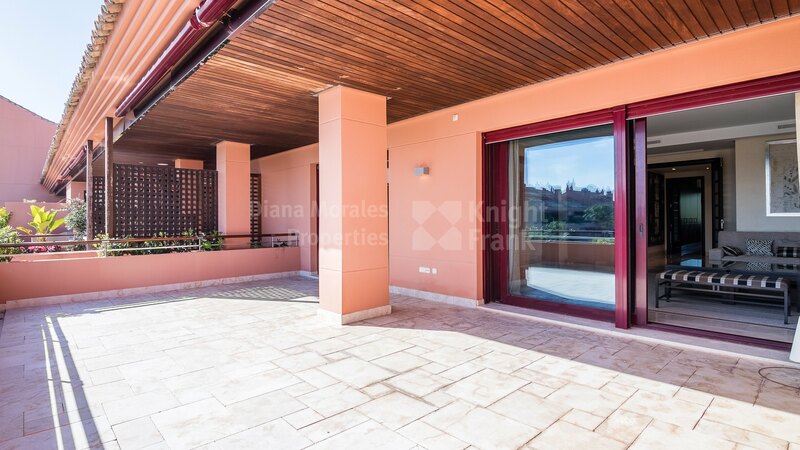 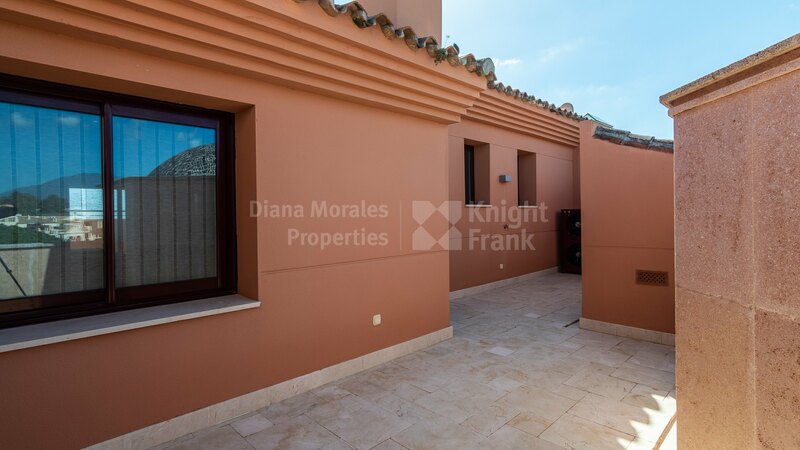 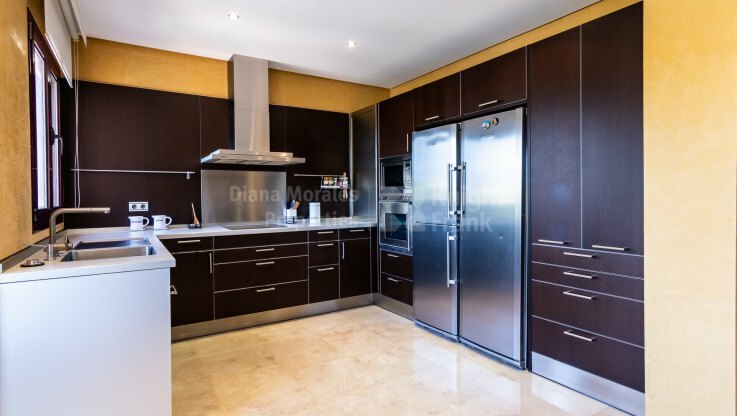 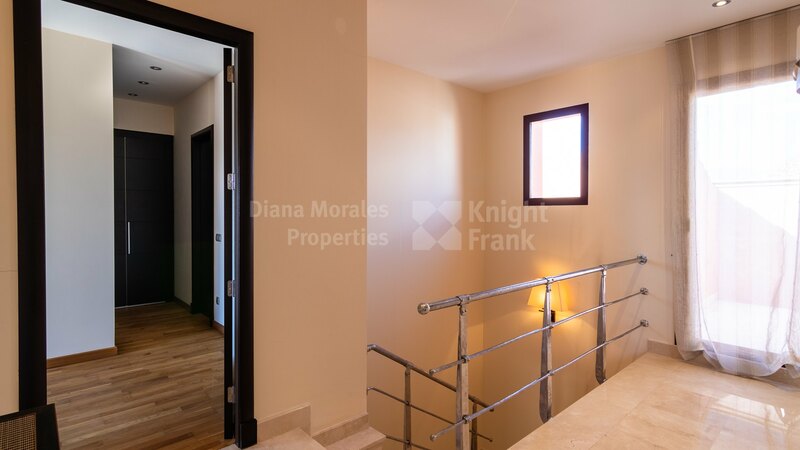 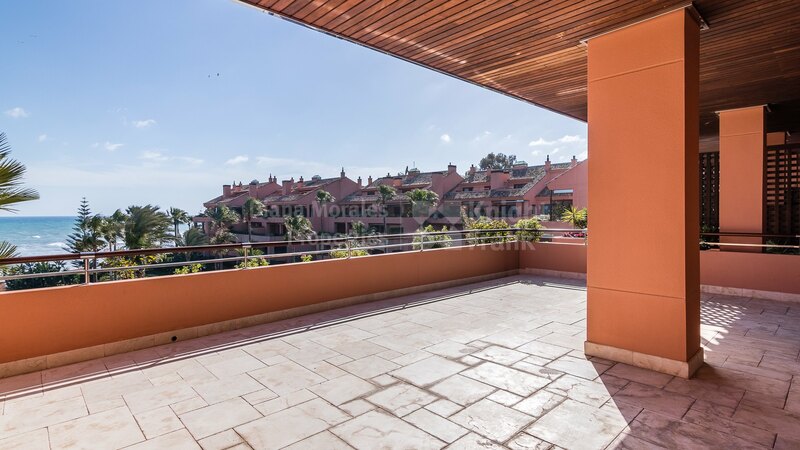 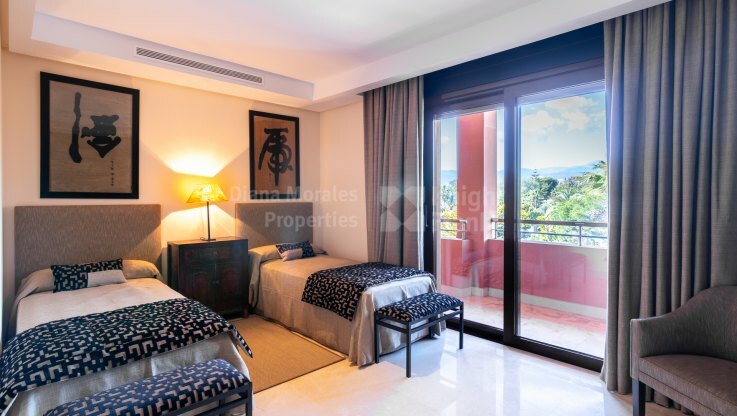 Southwest facing duplex penthouse set in one of the best developments in Puerto Banus, only a few minutes drive to Marbella town centre and walking distance to the port. 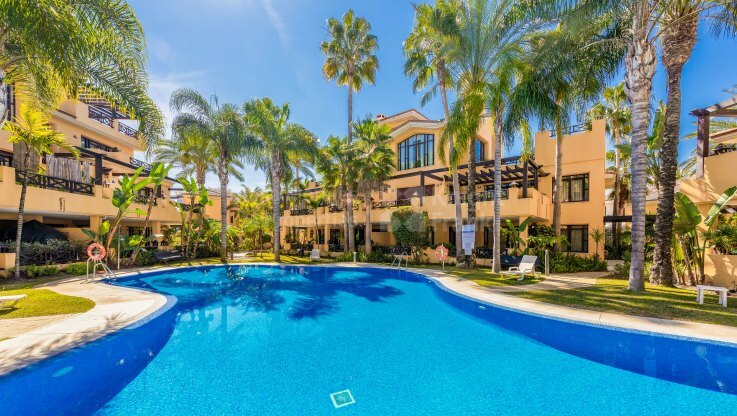 This gated community offers 24-hour security, well maintained tropical landscaped gardens with a walkway and direct access to the beach, two swimming pools, one heated, the other with salt water, a fully equipped gym and two indoor Jacuzzis. 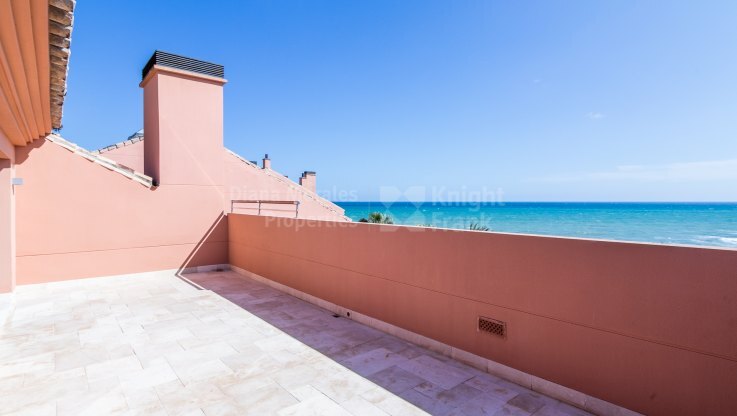 The spacious accommodation consists of an entrance hall, fitted kitchen fully equipped with Liebherr and Gaggenau electric appliances and Bulthaup fittings and smoke alarm, utility room, very ample living room with fireplace, dining area, 3 bedrooms en-suite, direct access to the covered terrace offering stunning views over the community area on to the sea. 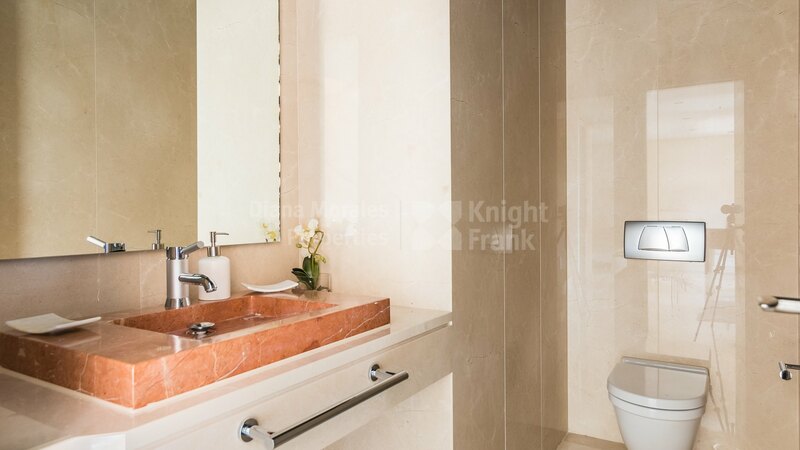 Built to the highest standards, it includes marble floors throughout with under floor heating, water softening device, alarm system with sensors in the bedrooms, living room and entrance hall fitted with rapid response panic buttons for fire and medical assistance; hot and cold air conditioning and domotic system.